This is a beautiful, high quality, Art Deco Jewellery box, dating to the 1920s. 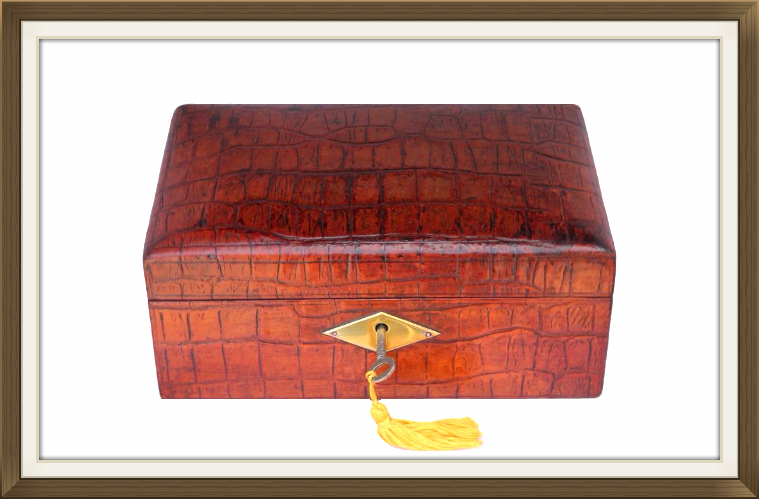 It has a fabulous genuine, crocodile skin exterior, and a large diamond shaped, solid brass escutcheon to the lock. Its lock and hinges are nickel plated, and all in excellent working order. The box is complete with its original key. 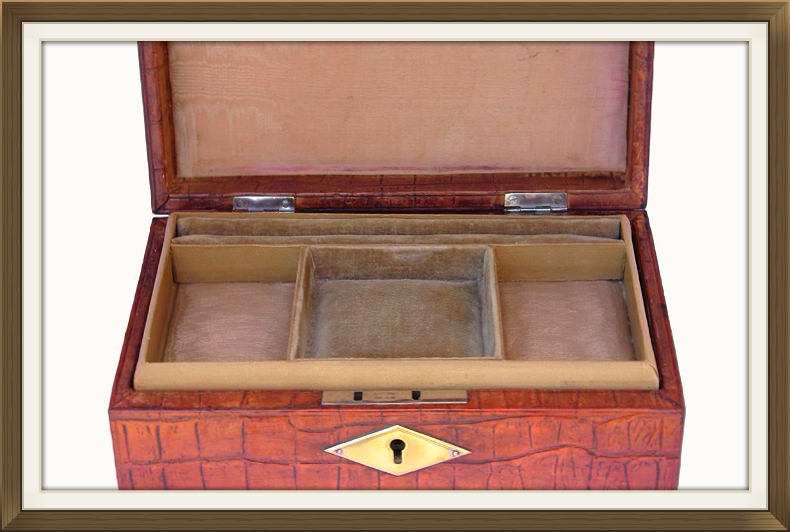 The interior has a lift out tray with 3 compartments plus a ring storage section. Beneath this is a further larger compartment in the base of the box. 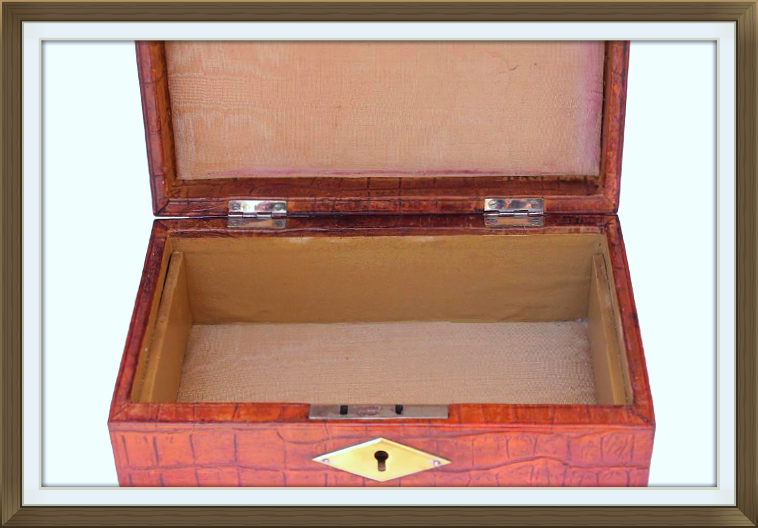 There are beautiful padded moire silk panels to the side compartments of the tray, plus the large base compartment and inside lid. There is a padded velvet panel to the centre compartment of the tray, and the ring storage section is also finished with padded velvet. All of this is completely original! 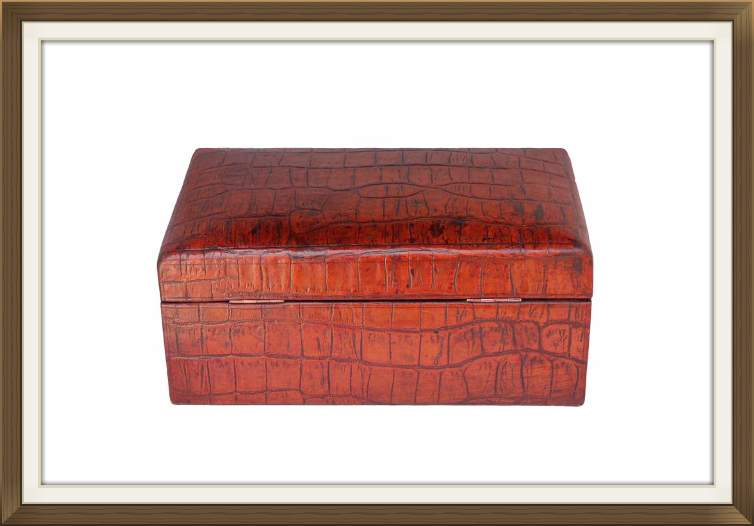 There are textured beige coverings to the inner walls, the exterior of the tray, and the base of the box. There is a protective varnished finish to those on the inner walls and base. 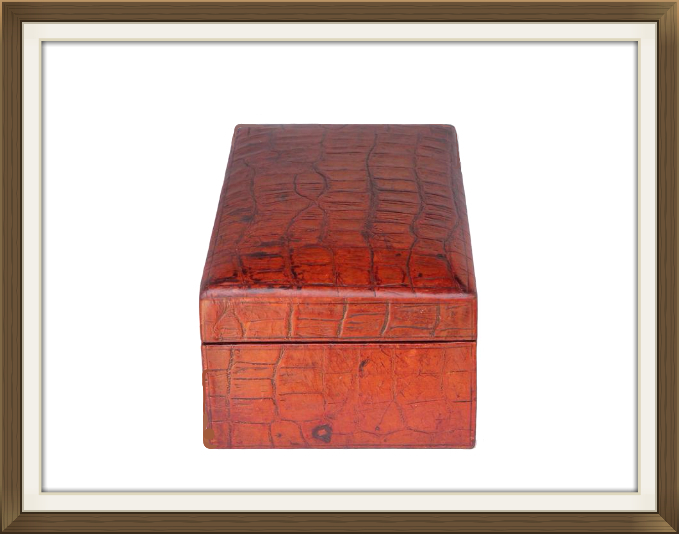 This fabulous box is in excellent condition for its 90 plus years of age. 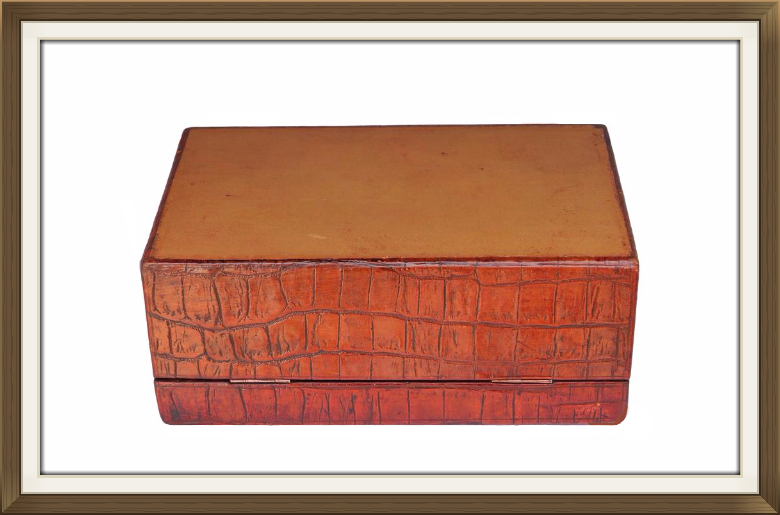 The crocodile skin is amazing with no splits whatsoever. There is one small blemish on the left side which appears to be a natural formation within the skin. The silk and velvet linings are still very good. No splits or fraying. There is a small pen mark and some light staining to the edges of the silk on the inside lid. None of these blemishes are particularly unsightly. Each 7.2 by 5cm with a 1.8cm depth. 7 by 6.7cm with a 1.2cm depth. Space for approx 10 rings. 18 by 10.5cm with a 4cm depth. (5.5cm depth if tray is not in situ).